Surrey County Council has worked with Transport for London (TfL) to keep the 166 bus between West Croydon and Epsom Hospital running and to ensure the 216 service continues to serve Ashford Hospital. 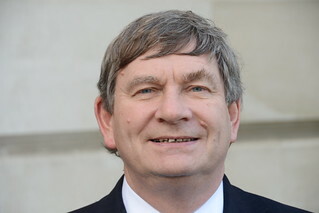 Cabinet Member for Transport Mike Goodman (pictured) said: “There’s a vital need to fund these services in Surrey to help people get to and from hospital – it’s what our communities rightly expect us to do. “We know just how important these buses are to people’s daily lives, which is why we’ve worked with TfL to invest the money that ensures they continue to run, whether that’s to help people go for a medical appointment, get to school or do shopping. The 166 and 216 routes can be found on the county council’s website.